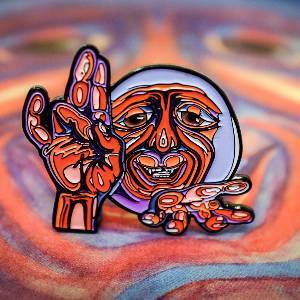 Unique pin featuring additional In the Court artwork. 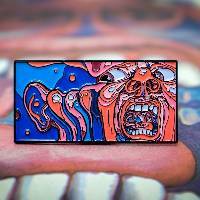 As companion to the Schizoid man, this pin features the image from the inside of the In The Court album artwork. 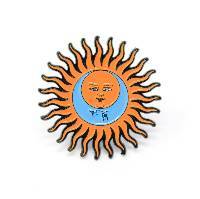 Pins measure just under 2" x 2" and are made of soft enamel with two rubber backings.